A sauna, a jacuzzi, trainers with clipboards and smiling pearly whites, and whoa — is that a smoothie bar?! All of these attractive features can seem really, really great, which the sales associates are sure to point out, but let's remember that's not what you're at the gym for. Location: Make sure the gym is as convenient to get to as possible so that you actually go. If you have to think about traffic and the potential obstacles to get there, you give yourself more excuses not to go. Make sure the gym can feasibly fit into your daily routine by keeping it close to home or on the way to work. Suitability: You might enjoy the perks like access to a sauna, but don't kid yourself that you'll go to the gym just because it's there. The gym should actually have the things you need for your goals. If you do spinning, check the spin class schedule. If you lift weights, it better have a variety of free weights and machines. 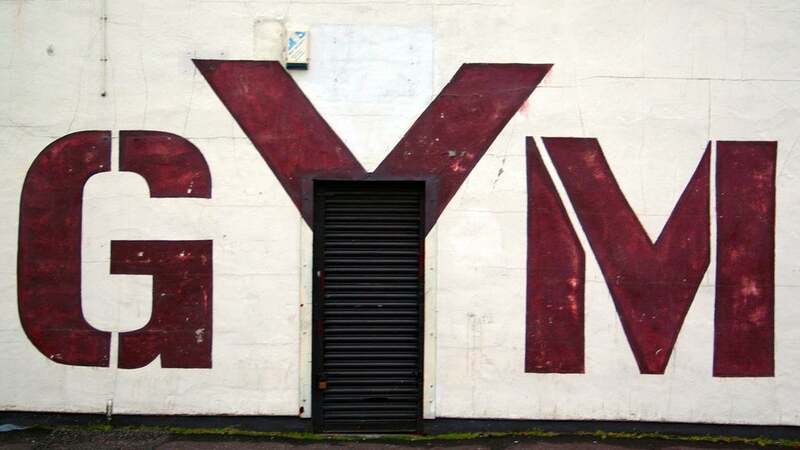 Price: Gyms are an investment, and most memberships legally bind you to keep paying even if you never go. So make sure the membership fee makes sense for you to pay every month. Staff and Gym Culture: The staff should be friendly and knowledgable, no doubt, but one oft-overlooked aspect is the gym culture itself: Is it the kind of place that you would feel comfortable working out in? The right kind of community makes you feel at ease and also motivated to work toward your fitness goals. Greatist also breaks down the pros and cons of some popular gym chains, based on what you might be into. For example, if you want a low-cost option with a crowd of fellow beginners, Planet Fitness is something to consider. Gold's Gyms will typically cater to the weight lifting crowd, while Anytime Fitness could work for someone on a really busy schedule. Check the article for more details.